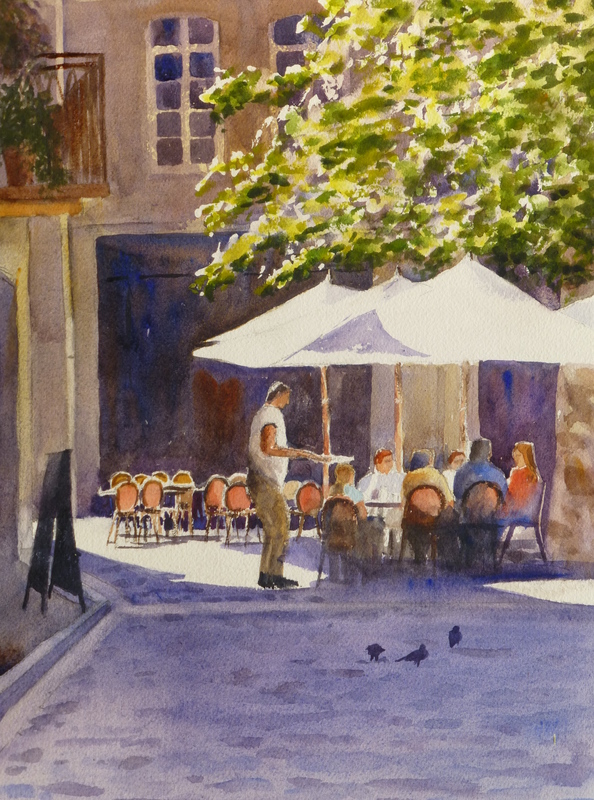 I liked the light cutting into this shady square in France at a high and low level, especially as it bounces off the parasols. I was tempted to put something or someone in the foreground as it looks a bit bare, but resisted. I hope it gives the feeling of the quiet you get in France when everyone is at lunch.